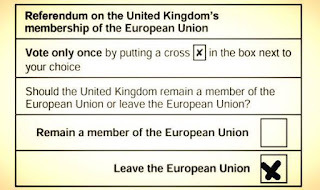 Mythological Ponderings: Why Vote Leave - Part 2: The Economic Argument. "Its's the economy, stupid", to paraphrase Bill Clinton's campaign strategist. Just like a general election, of all the arguments in the referendum debate, of sovereignty, of influence, of immigration, the economy trumps all. Will they be better or worse off will ultimately be the deciding factor for many people when they enter the polling booth on June 23rd, so it's important to set out why leaving the EU is economically sound. This argument takes two forms. Firstly, how do we mitigate any possible negative economic shocks from leaving, and secondly will we ultimately be better off longer term as an independent nation, or as part of a federal EU acting as a global trading bloc. Every argument you hear about jobs and investment from the remain camp makes the same false conflation of EU membership with access to the single market. There are 28 members of the EU yet 32 nations are members of the single market. This single trade area runs right the way across the continent, encompassing both EU and non-EU countries alike. It cannot be repeated enough, one does not need to be in political union in order to trade with Europe. By rejoining the EFTA we maintain access to the single market, thereby eliminating any potential short term damage leaving the EU may cause to the economy. This is detailed to a much greater extent in the excellent Flexcit document from the Leave Alliance, and pursuing this 'off the shelf' path as an interim measure is easily accomplished within the two year time frame allowed by Article 50 of the Lisbon treaty for negotiations with members leaving the EU. Commonly referred to as the 'Norway option' it allows us to continue trading with other members of the single market in the exact same way as we do now, but crucially frees us up to pursue our own trade deals elsewhere in the world, without being bound by the EU's common trade policy. It's worth stating that contrary to what the In camp would have you believe, this does not mean a loss of influence over the rules. Norway, by virtue of being an independent nation, has access to the actual top tables of global regulation, allowing it to exert it's influence where it really matters, before those regulations are adopted by the EU. Whilst repatriating the whole of current EU regulations ensures stability in the short term, before adjusting, repealing or indeed strengthening as necessary further down the line, it also means we're not bound by any excessive regulation that comes from Brussels from the moment of our joining the EFTA onwards. Norway for example adopts only 1 in 5 of all EU laws. I shall, however, address the issue of influence in more detail next week. So having ensured we maintain access to the single market, what positives can be derived from our new status as a non-EU country? Well, by repatriating our trade policy we can pursue agreements with the rest of the world. Although on the face of it being part of a large trade bloc lends more weight to negotiations, it can offer just as many obstacles as benefits. The common position of the EU, acting as it does not as a free-trade area but an increasingly protectionist customs union, must accommodate all of the various wishes of it's member states. The much hyped Canadian trade deal is now under threat of being vetoed by Romania over arguments about visa restrictions. The TTIP deal with the US has gone from being massively flawed to practically dead in the water after major components of it have been removed to satiate histrionics this side of the Atlantic. It's unlikely Congress will ratify it, or indeed, if it will pass here. Italy is blocking a deal with Australia and after 9 years of negotiations, talks with India have been shelved. Having to secure the agreement of all 28 members, each with their own, often disparate agendas, renders the EU next to useless in trade negotiations. It's not beyond the realms of reason to suggest that giving our historical links with each of these countries, and the fact that as the 5th largest economy in the world we're an important market, we would have had trade deals in place with each of them years, if not decades ago were it not for our EU membership. The UK rejoining the EFTA would mean that trade bloc would become the 4th largest in the world, meaning we could still benefit from collective clout whilst enjoying the freedom to pursue our own arrangements as and when it suited. It really would be the best of both worlds. And it is to the world we should be looking. At a time when technology has made geographical proximity meaningless, it's backwards to be locked in a common position with our neighbours on the continent. Especially when you consider the EU's declining position in the world. It's a stagnant market, growing at a much slower pace compared to giants such as the US and rapidly expanding markets like India and China. Our exports to the EU have dropped by roughly 10% over the last 10 years, now accounting for less than half our total, whilst exports to the rest of the world have climbed by the same margin. Furthermore we run a huge trade deficit with the EU, buying far more from them than they do from us, whereas we sell more to the rest of the world than we buy. It's these global markets where our future prosperity lies but only by shaking off the shackles of EU membership can we fully engage with them. Given our links across the world and the relative wealth of our country, we should have no trouble at all striking up deals of various scope with all players in the global market. If Iceland with it's population of 320,000 is capable of negotiating and securing a deal with China, then the 70m strong, newly independent UK should have no problem at all. 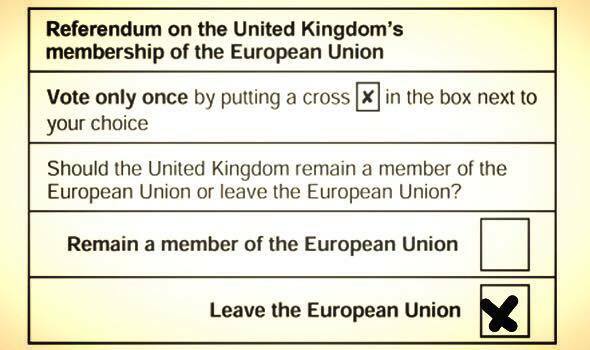 It's important to remember that Brexit is not an event but a process. Little will change overnight, but our long term prosperity is far better served engaging with the rapidly expanding global marketplace, whilst maintaining single market access, than remaining trapped in a protectionist customs union.